Busting the Newbie Blues is an annual event designed to help new YA book bloggers network with one another and share blogging experiences with other newbie and established bloggers. This event is running throughout the entire month of January. Want to join in? Click here to learn more! I started putting things together in October 2010, but it went "live" in November 2010. 2. Do you ever still feel like a newbie? All the time, and not so much. I'm a shy person and I live under a really big rock, so I feel like I'm always struggling with blogger etiquette and keeping up with social trends. I pretty much don't even try to "break news" like cover reveals or new book announcements because I'm just not hip enough to compete in that arena. And that's ok. I feel like I've found my own groove when it comes to blogging, and in that regard I don't feel like a newbie anymore. I do feel like a complete newbie when I talk with authors, publishers, or big bloggers. I pretty much have a running commentary of "They're talking to ME? ME?? Yay! Oh my word, they're talking to me. WHAT DO I SAY??? Oh great, I sound like an idiot." Probably time management. I'm a "more is more" kind of person, and I've let that mentality slip into my blogging life, for better and for worse. For most of my first year I was posting every day with two reviews per week. That worked for a while, but lately life has gotten busier and I don't think I'll be able to keep up with such a rigorous schedule. The biggest mistake I made with this was thinking I couldn't deviate from my schedule. I super stressed trying to get everything done, and then I stressed even more over the idea of reducing my schedule. Part of me fears that everyone will abandon me and I'll be letting everyone down by posting less. But the reality is, many of my favorite blogs do not post every day. And, honestly, if they have a schedule, I haven't kept track. I read them because I enjoy them, and it really doesn't factor in at all whether or not they stick to a schedule or post every day. In fact, I'm almost relieved when people DON'T post every day because I find it hard to keep up with all of the feeds in my reader. I ended up skipping past posts I wanted to read because I just didn't have time to read them. I need to remember that sometimes less is more. Statistics. I am a statistics junky, so I pretty much obsessed over my stats for the first, well, for a lot longer than I should have. I compared myself to other bloggers and set monthly goals for all sorts of things. I dealt with this in two ways. One, I started Busting the Newbie Blues. 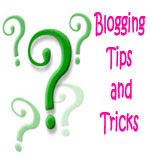 I was way too shy to start commenting on the big blogs, so I sought out other newbies like myself. I ended up meeting a lot of bloggers who have become good friends and it really helped to know that other people were feeling the same things I was feeling. Plus, I'm not going to lie, the followers boost felt pretty awesome and gave me encouragement at a time when I really needed it. The second way I dealt with it was to CHILL OUT. This was very hard, and I still struggle with it, but I needed to ignore my stats and take a chill pill. Life goes on, even when my pageviews dip (like over the summer when kids stop Googling "What is the ending of The True Confessions of Charlotte Doyle??"). Plus, do you know how much time I spent worrying over and checking my stats? Do you know how many quality posts I could have written during that time? How many books I could have been reading? Spending my time on those pursuits would have been a lot more helpful toward my goal of increasing my stats than spending that time obsessing over my stats. SO many things. When you're feeling down about your blog, think of all the things YOU have done that have nothing to do with your stats. It can be pretty surprising. I've done so many things I never thought I could or would do. I've hosted and co-hosted three events, contacted authors and publishers, received books for review, written a LOT of reviews, thought more critically about my reading, written almost daily, created and STUCK WITH a blog for over a year. These are all things that I DID, even if I was nervous and even if I was busy and even if I was tired. I DID them, and I'm pretty proud of that. Even if you're a tiny newbie blogger, I guarantee you can point to at least a handful of blogging accomplishments you can be proud about. Try it! The other biggest encouragement has been all of the amazing people I've met. The people who read and comment have been like my own personal cheerleader squad. You encourage me, direct me, give me insight and feedback. Your comments pick me up when I'm feeling down. Do you realize how much you mean to me? So, so much. 6. If you could go back in time and speak with your newbie self, what five bits of wisdom would you tell yourself? Do what you CAN do and don't stress about the rest. STOP WORRYING ABOUT YOUR STATS. Deviate from your schedule if you want! No one cares as much about your schedule as you do. Don't let blogging take over your life! 7. What do you like best about the blogs you read? Have you tried to replicate this in your blog? I love blogs where I feel like I know the blogger--their personality shines through in everything they do. I gravitate toward nicer, happier people. The kind of people who reach out instead of shut out. I don't feel comfortable around mean or cliquish people. It is very important to me that people feel comfortable on my blog. Whether we agree or disagree on a book, I don't mind at all. I hope everyone feels at ease and that they won't be judged. Everyone is welcome here (unless, well, if someone is making an effort to be mean. Or spam. Those I don't welcome so much). I also really love it when the blogger replies to comments. I feel like their blog is ten times more welcoming and I'm a lot more likely to comment. I also like asking questions, so it's nice to know they'll be answered. As for reviews, I love it when a reviewer lays it all out there for me. I don't want spoilers (oh please no spoilers!) or a summary of the whole plot (please no!) but I do want to know things like pacing, if a long book feels long, what the characters are like, what other books is this book like, if it has a slow start but then makes up for it later, does it have insta-love, is there a love triangle, and on and on. I also like knowing WHY they liked or disliked the book. All of this information helps me determine whether or not the book is for me. I also like rating systems. No, scratch that, I ADORE rating systems. I'm totally lost without them. I don't like descriptive rating systems as much because my memory is horrible so it's hard for me to keep track of what they mean (is "covet" better or worse than "adore"??). But oh for the love of numbers! Show me frogs or diamonds or stars or owls--whatever. If I can count it, then I'm happy. I try to do all of this and I hope I've succeeded (but please tell me if I haven't!). 8. What do you dislike about blogs you’ve seen? Do you try to avoid this? Negativity. Reviews that tell me nothing about the book. Reviews that are summaries. Clutter. Difficult to read fonts. Slow loads. Broken scripts. Disorganization. No review index. Basically, I want to be able to find your posts, physically read them without hurting my eyes, and come away happy and with more information about the book than I had before. I hope I avoid these things, but if I don't, please tell me! Really! Busting the Newbie Blues! Seriously. Outside of that, I commented a lot, registered my blog with search engines, worked on making my post titles SEO friendly, and threw myself into blogging. 10. 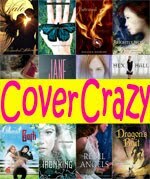 When and how did you get your first ARC (or first few ARCs)? ARCs for me have been a strange and inconsistent experience. Before I started blogging, I posted reviews on Amazon and, based on that, I was able to get some e-ARCs through NetGalley. I was denied by HarperTeen (they STILL love denying my requests), but Houghton Mifflin Harcourt approved me! Then I jumped into blogging, and after only about a month I got my first ARC from Goodreads First Reads program (and if you know much about my favorite authors, you know what a love affair THAT started for me!). I received one more ARC from them early on...and nothing since. How do your experiences compare? Have you joined in Busting the Newbie Blues yet? 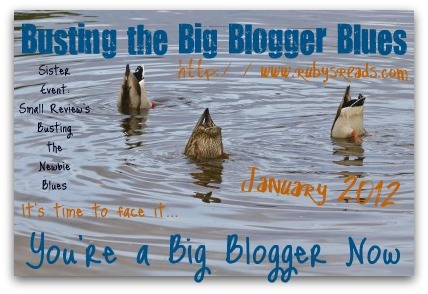 How about your Big Blogger Blues? There's still time! These events run until the end of January! You just reminded me to type up my post for this. I'm such a disorganized blogger at the moment. Argh! We have pretty much the same likes and dislikes when it comes to blogs - especially on the issue of reviews. :) That was my master plan in posting my responses now! Aw, thanks Small. And I love yours too! Your answers are so encouraging! I don't want to join every meme and post everyday, and at first I was stressing because I felt like it was something I SHOULD do if I want to really feel a part of the blogging community. But then I keep hearing the advice quality over quantity, and like you said people won't stop reading your blog (and may not even notice) if you post everyday. So I'm kind of banking on the hope that people will recognize that when I do post... I try to post thoughtful stuff. And I have some plans to start some of my own meme posts that I would like to read, but I don't see out there. We'll see how it goes! I think people will totally recognize the quality of your posts. I adore your goals feature. Even though I don't write fiction, the lessons you talk about, motivation, and progress are all so inspiring and I can apply them to areas I do participate in. I overdid it on meme's for a long time. (Not so much to get content on my blog, but more because I just love them. Seriously, I'm addicted.) I've since cut them out and tried desperately to get more content oriented posts. I think the hardest for me (like you mentioned) has been the statistics. I check my stats multiple times a day - and I have seen improvement (as I know my blog has improved by leaps and bounds since day one - in only six months I am embarrassed by what I used to write!) But the stats are hard to get past. As always -- your posts are so informative and I feel like I get so much from them. Memes are easy to get addicted to :P I do love some of them, like WoW and IMM. I think it's all about maintaining a good balance. It's SO hard not to obsessively check stats! But you're also right in that they are great in showing your improvements. Every little improvement is something to be proud of. It was interesting to read your answers. I definitely agreed with you on so many points. I need to stop stressing over the stats too. It has helped me tremendously to get on a schedule. I so agree with you about bigger blogs answering comments and emails. I have run into that too. I make it a point to answer all my comments and emails. Your posts are wonderful. 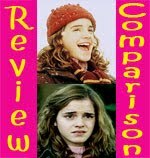 I love your blogging tips and I am a big fan of your review comparison posts. I am grateful you took a chance on me in your feature back in the beginning. It really gave me a boost of encouragement. If I can return the favor hit me up. Always here to help you, I got you on my email feed so I will be by so much you will get sick of me! Thanks for hosting the event I enjoyed answering the questions. Aw, Heidi, thank you so much! Your reviews are a fantastic addition to my review comparisons. Thank YOU for letting me include them. :) You already have returned the favor many times over with your kindness and enthusiasm! :) Thank you for your sweet words. I will definitely check out your responses! I'm making my way through the entire list and plan on commenting on everyone's post. I can totally relate with you here Smalls (: When I first started blogging I would check my stats... every single hour. Or minute. Something like that. But just like you I learned to take a step back from that and stop obsessing. So much excellent advice here, Small! I'm one of those bloggers who doesn't keep much to a schedule, LOL. I like rating systems too! I totally understand why some bloggers don't use them, but at the same time, as a reader it's really useful to be able to have a quick way to gauge roughly how the blogger felt about the book. Also, yeah, I find it frustrating when a blog doesn't have a review index. I like to glance over some of their reviews to see what their reviewing style and taste in books is like, and it's difficult without an index! Yes! That is exactly why I want a review index. It's also useful when I know I read a review for a particular book, but I want to reread their review a few months later. Hi! I just awarded you the Versatile Blogger Award. Please come by and see. Reviews that tell me nothing about the book. ahaha! This is something I definitely need to work on. I post a few quotes, ramble on about a character or two, and the rest of my reviews are just pointless flailing (or utter contempt, depending on the book :D). Aw, I’m so happy to hear that :) I enjoy your reviews. Pointless flailing can be valuable in its own right, especially once you get a feel for the blogger’s likes and dislikes. I try to think of a list of questions that *I* as a reader would want to know about the book, and then I try to answer those questions in my review. Smalsie!! I loved your answers!! *nods nods* I still feel like a newbie too and totally agree on blogger turn offs - I hate when people write a summary of the book and call it a review! I hate when the 'summary' from amazon or good reads takes more than half the review. And I think I like the same stuff in a review as you do, like I really care about how long or short a book feels, it matters. And I like to be warned about stuff- like insta love or when someone tells me to stick to a book because it gets better. I think you blog is adorable and I'm so glad you did Newbie Blues! That's how I got to meet you! Yes! When it’s all just a summary, how does that help? I have the book blurb for that. Yes, we’re in total agreement. Page count can only tell you so much, but a review can tell you how long a book feels, and for an impatient person like me, that matters A LOT. You’re so right about your last point too. I’m really quick to DNF, so I love it when a reviewer warns me that it’s slow in the beginning but worth sticking with. Then I listen to them and read more than I otherwise would have. I was wondering if it was too late for me to sign up for this! I loved reading about your blog journey. I agree about the time management thing. When I first started I was majorly unemployed so I had all the time in the world to review 64329345 books a week and post multiple times in a day. I'm glad to see that you agree that it's okay when bloggers don't post every single day lol! Nope, not too late at all! And, really, I’m so NOT a stickler about any of this. The linky list will close automatically at the end of the month, but the comments are always open and I don’t mind at all if people add their links in the comments after the event is “officially” ended. Besides, so many people signed up that I’ll very likely still be making my way through their posts in February! Stats are so hard to ignore - especially when blogger has a nice little button I can click. What I've tried to do is find out which posts are drawing readers to my blog, and emulate that kind of content in future posts. I also LOVED your tutorial on creating SEO friendly links - I think that has definitely helped! Thanks again for such a wonderful, informative event! I completely agree with you on the time management thing. i got so stressed and worn out by feeling I had to post this review then, something else on another specific day I almost gave up. My goal for 2012 is to get back to how I originally started out blogging a couple of years ago. 2012 is a big “reorganization” year for me too. It’s so important that blogging not become stressful. So many of us blog because we love it, and it’s a shame to see blogger burnout because we try to do too much. "In fact, I'm almost relieved when people DON'T post every day because I find it hard to keep up with all of the feeds in my reader." Same here. Also, a lot of the time people are posting memes so I don't feel as guilty if I don't comment on those. Oh whew, good, another person who won’t hate me if I post less frequently :D I agree, I feel a lot less guilty if I don’t post on a meme post. On the flip side though, sometimes it’s a lot easier to comment on a meme than a review. Haha! I love it! I am going to remember that when I get so nervous about clicking send. I’ll tell myself, “They won’t know me if they see me on the street” :P I’m so happy that you’ve done things you never thought you’d do! Isn’t it a great feeling? The biggest problem I have is deciding what to say in my reviews. I try to do a quick summary and talk about what I liked and didn't like, but usually there has to be a big "thing" before I'll mention it. Like, the pacing has to be really slow, or there has to be a character I really love or hate. I don't review books I don't finish (not that there are many), so I don't very often write a negative review. I’m the same way about writing style. I’m just not the kind of reader who really takes note of a writing style unless it’s something VERY noteworthy. Aw, I’m glad you think I’ve found a good balance! I start my review by making a mental list of what questions I would ask as a reader, and then I try to answer those questions in my review. I'm often left feeling like my reviews should sound better after all this time of blogging about books. I want to improve them, but I am unsure how to go about doing it. You are the gold standard for bloggers who let their personality shine through in everything they do. From your blog design to your entries to your comments, it all tells us that you are awesome and fun and nice and sweet and funny and cool. I couldn't do it without your sparkling presence, Smalls. And that is why you are my bosom friend. :D Because you make me cry sloppy tears of joy AND you manage to work in sparkles. (Which, if I could find a way to make my blog sparkle like someone threw glitter ALL over it, I would. I’m still working on that). Yes, I used to always have a browser open with my stats and refresh it like ten times each day! I agree with you on so, so much of this, especially the part about getting to know the blogger. That's part of why I love reading your reviews--they're so full of personality. Ha yes! It was a total game changer when I discovered feed readers :P Aw, thank you so much! I love your +/- review style, lists, and discussion posts. Great answers Small! I think you may have been the first friend I made in blogging. I was trying to make a button and we were going back and forth on trying to make it work. This was after I met you through Busting the Newbie Blues. I picked your button up at Linds' blog Bibliophile Brouhaha. I try to post every week day, but this week I didn't make it and I felt like I'd failed at my job. Blogging has taken over my life. I've got to find a way to put it in the background for a bit. I'm not living anymore, I'm just reading and blogging. I love it, don't get me wrong, but I have family and should probably make some face to face friends. Maybe take a walk. I hope you'll still be here when I get back, but I need to step back. Your post has reminded me of that. I still need to remind myself to CALM DOWN too. I'm just a naturally anxious person, I think. Even in times when I don't have anything particularly stressful going on in my life, I find things to stress about. Not the best personality to have going into blogging. At least I've gotten better at not comparing myself with others and obsessively looking at stats. I've just got to accept that I am never going to read as many books as most bloggers read and write as many posts as most bloggers write. And that's okay. I was always so impressed at how you were able to post quality posts for every day of the week... and I always wondered how you even managed that. You seemed to be some sort of superwoman with superior time management capabilities. Or something. I hope you're enjoying yourself a bit more now that you're trying not to do "more is more"! And thanks once again for hosting this event a second time!